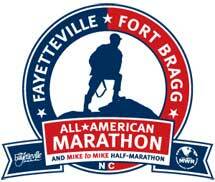 The Fayetteville/Fort Bragg sixth annual All American Marathon and Mike to Mike Half Marathon will be held Sunday, March 24, in downtown Fayetteville. A third race, the All American 5K, starts and finishes on post at the Main Post Parade Field, sharing the finish line with the full and half marathons. All registered participants will receive performance T-shirts and customized finisher medals. Fort Bragg Family and Morale, Welfare and Recreation, an organization that manages a network of activities and leisure services designed to serve the needs, interests and responsibilities of the Army community, hosts the events. 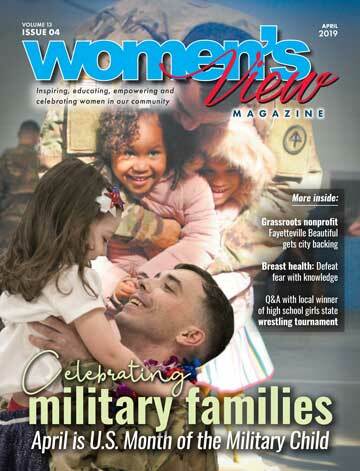 MWR programs enhance the quality of life for military and family members with youth and recreation programs, sports, entertainment, travel and leisure activities. A pre-race health and fitness expo will be held at The Metropolitan Room in downtown Fayetteville on Friday, March 22, from 4-8 p.m. and Saturday, March 23, from 9 a.m. to 6 p.m. Information packets will be available for pick-up during the fitness exposition. All American Marathon runners will depart Festival Park and run up Ray Avenue to Hay Street, where they will run through the heart of the historic downtown area, past the Market House. The route will then take runners past Freedom and Veterans Parks and the Airborne & Special Operations Museum, which is home to the historic Iron Mike Statue. Racers will run through the Haymount District of Fayetteville, traveling rolling hills until reaching the All American Expressway. After running along the All American for about 4 miles, participants will enter the Fort Bragg installation via Gruber Road. The race course will then lead runners past the home of the 82nd Airborne Division and past Pope Army Airfield. Marathoners will finish the course with scenic views of Forces Command Headquarters and Fort Bragg’s Iron Mike statue, ending at the Main Post Parade Field. There will be 23 water stations along the route. All registered athletes wearing race bibs on course will be granted access to Fort Bragg during their marathon and half marathon races. Individuals who are not Department of Defense ID card-holders who wish to enter Fort Bragg before race day must go through the Automated Installation Pass process. The All American 5K is wheelchair, walker and stroller friendly. Children may participate so long as they are registered runners. Children in strollers do not have to pay a registration fee. The 5K race on post begins at 7:30 a.m.
Courtyard by Marriott at 4192 Sycamore Dairy Rd. is the host hotel. It is located 5 miles from the start line and 7 miles from finish line. Rooms cost $89 per night. Pre-race and post-race shuttles will be provided. All runners who complete the races within the seven-hour time limit will receive finishers medals. The All American Marathon and the Mike to Mike Half Marathon begin at 7 a.m. at Festival Park. The 5K race begins at 7:30 a.m. at the Main Post Parade Field on Fort Bragg. Register for any of the races at active.com. 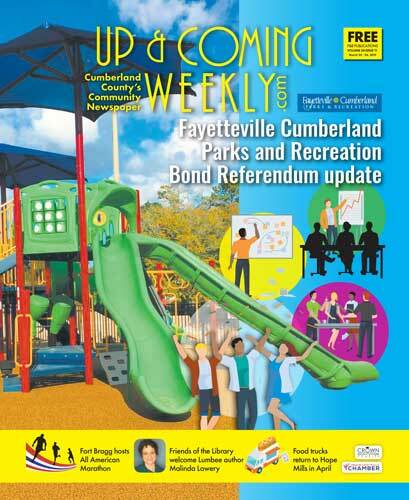 Editor’s note: An earlier version of this article incorrectly stated that the bond referendum was passed by both Cumberland County and city of Fayetteville citizens. The article has been corrected to state that the bond referendum was passed only by citizens of the city. 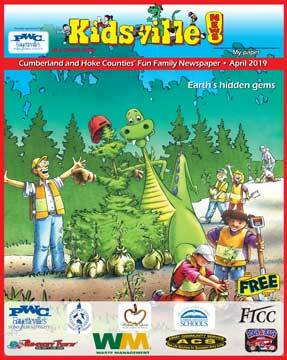 The Fayetteville Cumberland Parks and Recreation department provides services and amenities for the residents of Cumberland County and the city of Fayetteville. This organization offers extensive programs such as youth sports, affordable golf services at Kings Grant Golf Course, instructional camps, summer camps for children, and recreation services for seniors. These programs improve the quality of life for Cumberland County residents and increase general community pride in countless ways. Now, more than ever, the FCPR recognizes the need to develop recreation and park services to meet the needs of the growing community it serves. The Parks and Recreation Master Plan was created in 2006 to address the needs of an evolving and growing population into the future. But there is a cost to operate and expand current facilities. 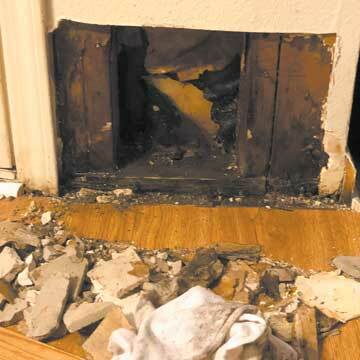 That’s where the $35 million FCPR Bond Referendum comes into play. The bond referendum was passed by the citizens of the city in 2016 and paves the way to grow the vision of the FCPR. The projects in the referendum include two senior centers, a tennis center, a sports field complex, skateboard parks, the Cape Fear River Park Downtown Riverfront and seven splash pads. Also included are park improvements to the following parks: Brentwood School Park, Clark Park, Dorothy Gilmore Therapeutic Recreation Center & Park, Massey Hill Recreation Center Park, Martin Luther King Jr. Park, Mazarick Park and Seabrook Park. Since the passing of the bond referendum in 2016, three new splash pads have been constructed. They are located at the Kiwanis, Massey Hill and Myers Recreation Centers. In addition, each of the splash pads are handicap accessible, offering opportunities for those with disabilities to participate in a fun outdoor activity. The pads are equipped with a recirculation system that recycles the water and ensures it is clean for use. The Dorothy Gilmore project groundbreaking ceremony was held earlier this year, and work is now underway for the splash pad at that center. As with the other splash pads, the pad is handicap accessible. Kathy Jensen, city councilwoman for District 1, said the city has seen an increase in positive feedback from the community since the construction of the splash pads and pool upgrades. 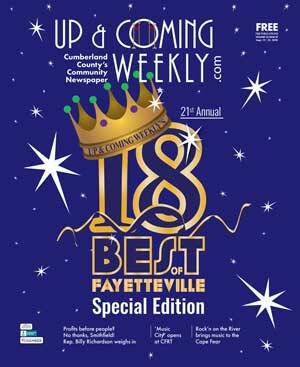 “People are embracing Fayetteville as a place to live and recreate,” Jensen said. The FCPR expects to have a groundbreaking ceremony soon for a new skateboard park that will be located at Rowan Park. The skateboard park is expected to be completed by the end of this year. Several partnerships with local universities and Fort Bragg are on the horizon, too. These partnerships will mutually benefit both the FCPR and its partners. For instance, a partnership with Methodist University to lease the Jordan Soccer Complex will result in extensive renovations to the complex. This will provide upscale facilities for teams to use for tournaments, and the state-of-the-art soccer complex will benefit all in the local community. Another partnership, this one with Fayetteville State University, will involve the construction of the Senior Center East. Upon completion, local seniors will have use of the Senior Center and the Life Center on the FSU campus. Negotiations are also underway with Fort Bragg for the construction of a sports complex. Details of the arrangement will be released upon successful negotiation of the agreement between the two entities. The 19,000-square-foot Senior Center West broke ground and is currently working to install the infrastructure to support the center. Construction on the center is expected to be completed by early 2020. Finally, a child-friendly water feature will be constructed at the entrance to Hurley Field, the site of the new Fayetteville Woodpeckers ballpark. 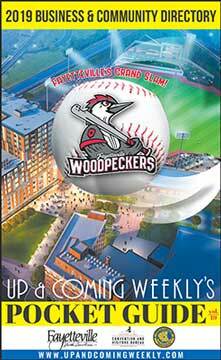 The ballpark is the cornerstone of a large-scale redevelopment project in the Fayetteville downtown. Check out the FCPR centers and view all of the great upgrades in person. For more information on the development plan and updates, visit https://fcpr.us/parksbond. March 23 is the 82nd day of the year. On that day 25 years ago — March 23, 1994 — 24 paratroopers from the 82nd Airborne Division died in the aftermath of a collision of a C-130 cargo plane and an F-16 fighter jet at Pope Air Force Base, now known as Pope Army Airfield. One hundred other soldiers were badly injured in a fireball that erupted when the jet crashed onto Green Ramp and into a transport aircraft. Five hundred troops had gathered in preparation for a routine training jump. Units on the day’s manifest were the 82nd Airborne Division’s 504th Infantry, 505th Infantry and 782nd Support Battalion (Main), as well as the XVIII Airborne Corps’ 525th Military Intelligence Brigade and 159th Aviation Group (Combat) (Airborne). The soldiers at Green Ramp were engaged in a variety of activities in preparation for the jump. Just after 2 p.m., the F-16D Fighting Falcon collided with the C-130 Hercules transport while both tried to land at Pope. The Hercules touched down safely. The F-16 pilots ejected as their plane plummeted to the ground. 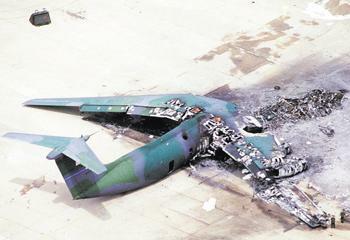 It crashed and slid across the tarmac into a parked C-141 Starlifter. Both planes exploded, spewing 55,000 gallons of fuel onto Green Ramp. A massive debris-filled fireball, described by some as 75 feet in diameter, roared through the staging area. Capt. James B. Rich, the 525th Military Intelligence Brigade’s logistics officer and a primary jumpmaster, had just finished rehearsing duties with the jumpmaster team. He said he “expected to burst into flames.” Actually, the captain’s backside was on fire. Soldiers of the 2nd Battalion, 504th Airborne Infantry Regiment, who attended the jumpmaster’s review while sitting on the ground, jumped up and scattered in several directions after the explosion. Some of them ran toward the Jumpmaster School training area. Others bolted toward a fence, and still others tried to race behind mock doors of a training device. Some found safety. Most did not. The soldiers who hit the ground and rolled fared better than the troopers who ran. Those who escaped injury went to the aid of the less fortunate, many of whom were on fire. General officers who later became legendary military leaders were among those in charge that day. Then-Lt. Gen. Hugh Shelton, the commanding general of XVIII Airborne Corps and Fort Bragg, praised the quick and impromptu response of the soldiers and rescue teams after the explosion. “When fear sets in, training takes over,” Shelton was quoted as saying in the Fayetteville Observer-Times, Mar 31, 1994. One month before the accident, the 504th Infantry had to simulate evacuating dead and wounded soldiers during maneuvers at the Joint Readiness Training Center at Fort Polk, Louisiana. “Most of the things ... (at the crash site) were exactly what we had trained for there,” said then-Lt. Col. Stanley A. McChrystal, the battalion commander. From the mid-1970s well into the 1990s, downtown revitalization was a significant concern and topic of public discussion in Fayetteville. Newspapers, radio and TV carried sobering reports about the death of retail business downtown. Sears, J.C. Penney, Belk and numerous small shops had abandoned Hay Street. Cross Creek Mall and nearby strip malls became Fayetteville’s retail sales hub, serving south-central North Carolina. The opening in 2000 of the world-class Airborne & Special Operations Museum changed everything. Business investors and local government took a renewed interest in the heart of the center city. Today, less than 20 years later, businesses along Hay Street and the surrounding innercity streets yield more property tax revenue than the mall does. That was a surprising revelation by consultant Steve Auterman of Urban Design Associates of Pittsburg, Pennsylvania. “You ought to be building more of what is getting you the best return,” he said. 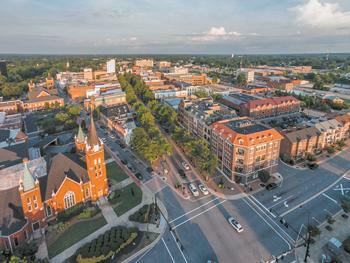 Auterman provided Fayetteville City Council an initial conceptual report of ways his firm believes Fayetteville’s downtown can be transformed into a vibrant business, entertainment, residential and government complex. He gave the council a detailed report Mar. 4. Auterman foresees a physical transformation of the downtown area, which he said extends far beyond Hay Street. He noted that the recent reconstruction of W. Russell Street can be utilized better, saying that only about 10,000 cars a day travel the six-lane road. He added that on-street parking and bike lanes could easily be carved out along Russell Street. It would be one way of addressing the need for more parking availability. “Make the best choices — not the easy choices,” was Auterman’s theme for almost every recommendation he made. “Increased value and vibrancy are the desired outcomes,” he added. With the new Rowan Street railroad overpasses nearing completion, the consultant said improving downtown gateways will foster in-town living and improve mobility. Auterman envisions a downtown residential neighborhood but emphasized the need for updated zoning, which now limits progressive residential growth. Modern design standards, he said, would help stimulate investments. “It’s important that our decisions are critical and include well-planned areas,” said District 2 Councilman Dan Culliton. His district includes downtown. Auterman said the real estate that City Hall and police headquarters occupy is valuable, but they should be relocated in the city center. Some Council members have considered the southern tip of Murchison Road as a potential location for city offices. Urban planners believe that downtown expansion should occur east and south of the Market House. A performing arts center envisioned by county government could be built on Person Street. One location that’s been suggested is the former Greyhound Bus station property. Fayetteville Mayor Mitch Colvin said the next step for Urban Design Associates is to bring City Council specific ideas about how the city should implement downtown revitalization.